I'm in Virginia! HELLO! Long time no talk my friends. I missed y'all over the last week while I took a few days off from the blog, but it was much needed to do that while I moved from Vermont to Virignia. Wow- all I can say is moving out of Vermont really through me for a loop! I thought that I was super prepared since I'd only moved out of state one year prior... HAHA nope is all I will say!! But I learned a lot from this experience and I am already looking forward to writing some moving related blog posts next month. Virginia has now been my home for a few days and I still can't believe it! It honestly still hasn't settled in yet that this beautiful Southern state is my home- I feel like this is a wonderful dream. Back on-air: I start my new job today! After almost two full weeks away from being on the radio and in a station environment, I have really started to miss it!! I am so excited to begin the next chapter of my career journey today. Once I get settled in a bit at work and with my new show and station, I'm happy to share the details for y'all to listen and stream online if you'd like? I know I had some requests for that information when I worked in Vermont, so let me know if you'd like me to share more about my day job details here for the new job too! 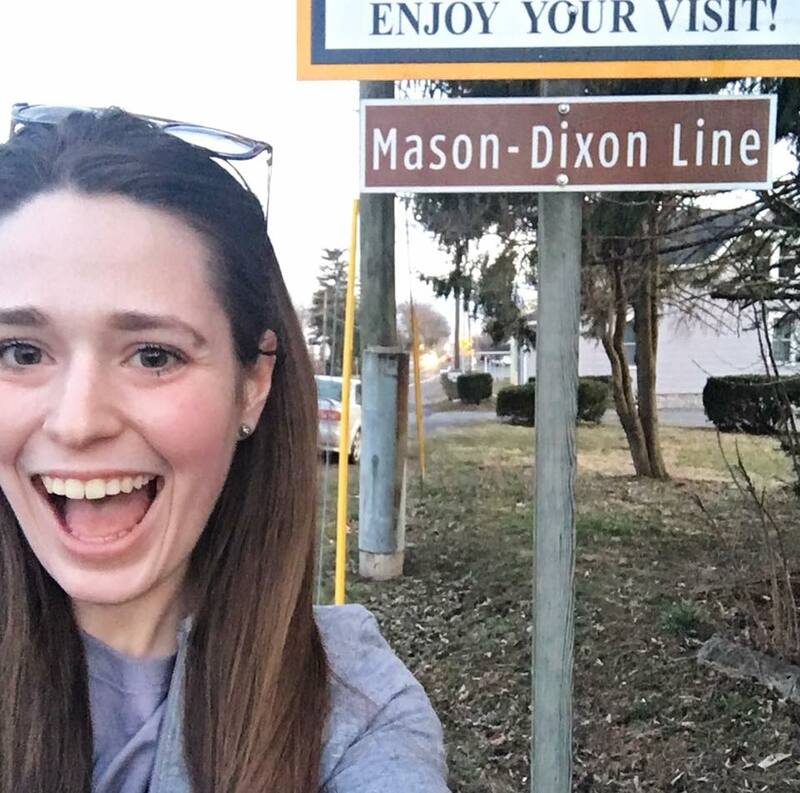 Mason-Dixon selfie: So on all my past road trips from North/South or vice versa, I'd always wanted to get a selfie or picture with the official Mason-Dixon line (Pennsylvania/Maryland) but it's never happened! I knew I had to make it happen on this trip, especially since it was commemorating my official move back South! My dad was driving our rented moving truck and he got a bit behind me on the highway by the time I neared this state line, so I ventured off the interstate by myself in search of it. I finally found a little state line sign (pictured above! ), pulled my car over, and hopped out for probably one of the ugliest looking but favorite selfies I've ever taken. Solo road trip detours are a must to keep it interesting! 😉If you've done a solo road trip before, have you ever planned a special rest stop? One of the shoe racks that I had in Vermont broke a few months ago, so I knew I needed to get another one for my new apartment. I ended up buying a much larger one for my closet to hold all of my dressier shoes, and I still can't get over how many pairs of shoes it holds for the great price! Other than the new shoe rack, my only other purchases this week included things like cardboard boxes, packing tape, and bubble wrap! Moving supplies are crazy expensive and sadly not too fun to write about on my blog for Midweek Ramblings posts. I bought a pair of cheap but cute colored mirrored sunglasses last year, and they totally exceeded my expectations! For under $20, they fit great and also looked great. This is this year's version- they're $14 and very similar to my pair from last year! This looks like it would be the cutest casual dress for running errands on the weekends or other casual activities, and what a good price point! I think this is the cutest crossbody purse for spring and summer! It would be especially perfect if you're headed on Spring Break or another type of warm weather adventure! I have some fun statement purses and clutches but always forget to use them and just stick with my big bags - I need to try and branch out more ha! This dress is definitely more of a splurge piece- but it's so cute for spring!! The colors remind me a bit of the colors of the University of Virginia (which is here in Charlottesville- I need to get some dresses in the school colors for game days in the fall!). Recipe of the week: I'm still too new in my apartment to have done any cooking this week, so here is another past favorite recipe of mine from my Pinterest boards. These Italian Roasted Potatoes are such a tasty side dish- definitely something I want to make again soon once I'm cooking more regularly and used to my new job schedule! Song of the week: Criminal by Lindsay Ell. I listened to a good amount of country radio on my drive from Vermont to Virginia as I'm so excited to begin my career in this part of the radio industry! I heard this song quite a few times and I just love it! Lindsay has such a beautiful voice and I want to hear more of her songs. On the blog this week: Only one blog post from the past week as I took a few days off for blogging- but it was a fun post! Thank you so much for reading today's post!! 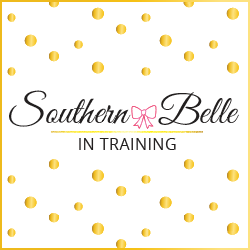 I am planning to ease back into my normal blogging schedule for the rest of March as I settle into Virginia life, and then in April I hope to be back on my 4x a week posting schedule! Yay on your new job! Wishing you the best! Moving is so stressful! But look on the bright side, you're here! Yay for being in your new home! Solo road trips are so fun because you can plan those little stops; I went to Columbus by myself one time and purposely planned extra time so I could go to one of the fancy donut places they had in town haha. I'm definitely going to have to stream you on the radio-- I love country music! Yay for being back in the south! A shoe rack seems like a good purchase. so happy you're moving towards happiness! good luck! YAY YAY YAY for being back in the South!! You can already tell how happy you are and I can't wait to see you blossom in Virginia! Mmm I'm going to have to try those Italian roasted potatoes. YUM. Also, yay for your move! I love your Mason-Dixon selfie. Lilly Pulitzer Spring Styles with Pink Colony. 9 Things I Won't Miss About Living in Vermont. Big Life Update Part 2: HELLO VIRGINIA!!! Big Life Update Part 1: GOODBYE VERMONT!! !